Hi, thanks for the comments. 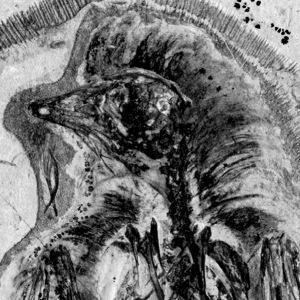 To date, non-avian theropods that have feathers preserved are unique to a few sedimentary units (including the Qiaotou, Jiufotang and Yixian formations) in China. This certainly results from the fact that this is the only place in the world where we have small theropods preserved in so-called Lagerstatten deposits (that is, places where exceptionally good preservation of soft tissues occurred). In other words, it's a sampling fluke. What about ornithischians, Effigia, and turtles? They all have beaks, yet no feathers to preen. When talking about non-avian theropods, you have to be careful about assigning a primary function to a presumably multifunctional structure, that may or may not have intially evolved for its current use. I'd appreciate it if people didn't leave unattributed comments. Please sign off with your name. Regardless... there is nothing is this post which equates to 'rhamphothecae evolved for parasite control'. It is clear (I made the point a few times in the previous post) that ectoparasite control is one of the bill's functions, but it does not follow that bills evolved for ectoparasite control. 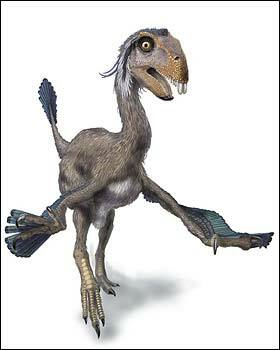 So the presence of beaks in unfeathered taxa is not a problem. 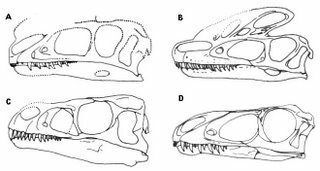 And anyway, it's not the presence of a beak that's important: it's specialisations of the beak tissue, such as the maxillary overhangs. In other words, I am not saying that parasite control is a primary function of beaks and unusual teeth: rather, I was wondering if these structures might have functioned in this role. As a guess, does your surname being with the letter 'I'? Protopteryx is not from the Yixian Fm but from the Dabeigou Fm (Hebei, not Liaoning) which is supposed to be a bit older. How actually did you manage to count teeth in Protarchaeopteryx? The photos I've seen are coarse-grained, and the fossil itself seems to have been split into two slabs as usual. Also, what about Hesperornithes and Ichthyornis which have teeth everywhere except the pmx? Re: Protopteryx, in my defence I should point out that Zhang & Zhou (2000) did initially report the taxon as coming from the Yixian Formation, and that the distinction of the Yixian and the Dabeigou has been controversial: He et al. have a paper about this in the latest Geochemistry, Geophysics, Geosystems. Has the distinction been widely accepted formally? How did I manage to count the teeth in Protarchaeopteryx? I didn't! There's nothing in the text on a tooth count for this taxon. I will note here that I've closely examined the holotype more than once. Finally, yes there are toothed birds in which the distribution of teeth does not appear to make sense for a preening function. Well then: these birds did not use their teeth in preening! I am NOT saying that yandangornithids and so on have teeth for preening, I'm wondering if the teeth might have functioned in this role. "Re: Protopteryx, in my defence I should point out that Zhang & Zhou (2000) did initially report the taxon as coming from the Yixian Formation, and that the distinction of the Yixian and the Dabeigou has been controversial: He et al. have a paper about this in the latest Geochemistry, Geophysics, Geosystems. Has the distinction been widely accepted formally?" What killed the stag beetles?